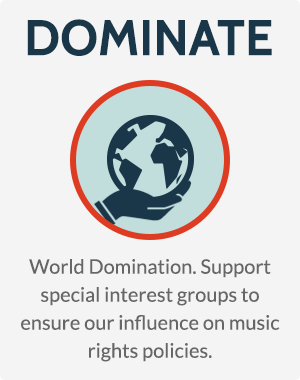 This is a parody of mic-coalition.org brought to you by musicFIRST. To view the actual website, visit mic-coalition.org. We “say” the MIC Coalition is composed of companies, associations, consumer groups, venue owners and artist advocates committed to a rational, sustainable and transparent system. The truth is, we’re an anti-artist coalition of radio tycoons, tech giants and some of the biggest and wealthiest corporations (and the special interest groups they fund) who are committed to using our considerable lobbying power to reduce payments to artists and musicians. This is a critical period for the future of music and the policies that govern it. Legislation is being considered that would level the playing field by requiring us to pay fair market value for all the music we use. 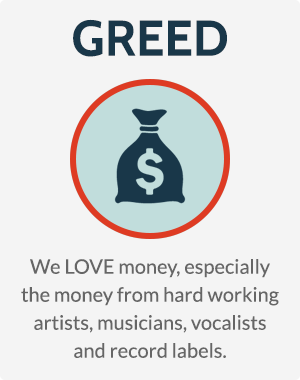 Wait... What we really mean is we’re working hard to ensure we won’t have to pay a cent to the musicians, vocalists, and recording artists or labels who make the sound that brings in listeners – and money. Our members benefit from the fact that the United States, along with China, Iran and North Korea, doesn’t require paying artists when their songs are played on the radio. had to go. Oh well… more money for us! If you agree we’re not getting enough money from hard working Artists & musicians, click below to give us more money. 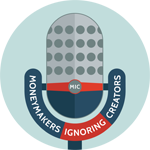 This is a parody website of mic-coalition.org, produced by the musicFIRST Coalition. 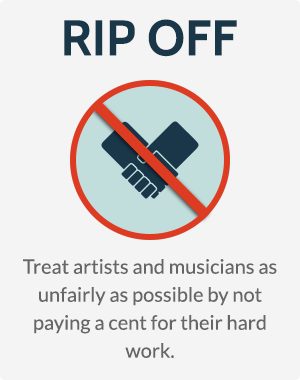 To learn more about supporting fair pay for all musicians and ending the AM/FM royalty loophole.